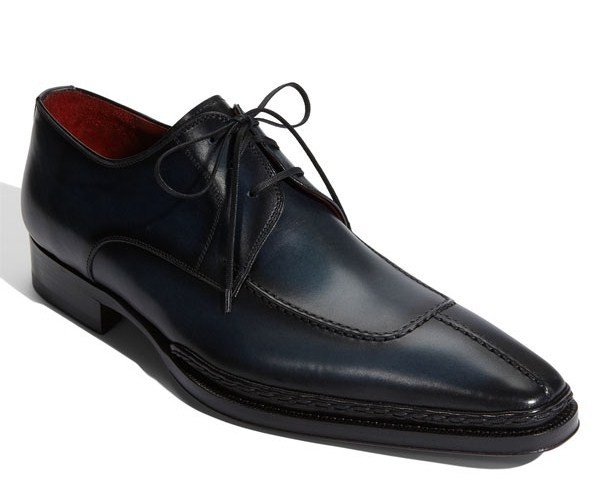 Magnanni offers some distinct depth of colour and subtle sheen with these “Lamas’ derby shoes. Constructed of hand-tinted calfskin, they promise flexible comfort and elegant style. The carbon navy shoes with red inner feature stitching detail around the toe, and are available online now.